London, UK – Much to the excitement of Mike Scott & The Waterboys fans worldwide, ‘Strange Boat’, the definitive biography written by Ian Abrahams, is now available on Gonzo MultiMedia! 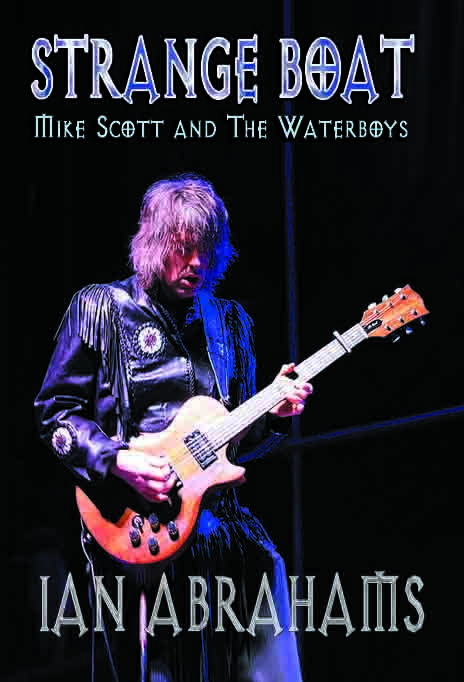 ‘Strange Boat’ charts the twisting and meandering journey of Mike Scott, describing the literary and spiritual references that inform his songwriting and exploring the multitude of locations and cultures in which The Waterboys have assembled and reflected in their recordings. From his early forays into the music scene in Scotland at the end of the 1970s, to his creation of a ‘Big Music’ that peaked with the hit single ‘The Whole of the Moon’ and onto the Irish adventure which spawned the classic Fisherman’s Blues, his constantly restless creativity has led him through a myriad of changes. With a revolving cast of troubadours at his side, he’s created some of the most era-defining records of the 1980s, reeled and jigged across the Celtic heartlands, reinvented himself as an electric rocker in New York, and sought-out personal renewal in the spiritual calm of Findhorn’s Scottish highland retreat. Mike Scott’s life has been a tale of continual musical exploration entwined with an ever-evolving spirituality. Originally published in 2007, this new edition is revised and updated and contains a ‘bonus’ feature on Mike Scott’s Appointment With Mr Yeats album, originally published in R2 Rock N Reel magazine. Ian Abrahams (born 1963) is a freelance journalist and biographer. His books include Hawkwind – Sonic Assassins, Strange Boat – Mike Scott & The Waterboys and, with Bridget Wishart, the forthcoming history of the free festivals, Festivalized: Music, Politics & The Alternative Culture. He’s written for Record Collector, R2, Vive Le Rock, Shindig!, The Guardian, The Independent, Bass Guitar and others. Ian lives in Cornwall where his household includes two retired greyhounds who’ve never been to a muddy festival, tied on the end of a string. Contact: Ian Abrahams, ianabrahams1@yahoo.co.uk, 07866831505.